update: Jio mobile bookings are temporarily stopped as booking already reached 10 Millions (1 Crore). JP<>your area PIN code<>Jio Store code near your locality and send it to 7021170211. Reliance JioPhone will be available to million of users from August 24th and pre-orders are being opened in few regions through offline retailers. It is being noted that few retailers in different regions have opened pre-bookings of JioPhone prior to official open by the company. Jio Phone runs on VoLTE network and comes with a host of pre-installed services such as JioTV and JioCinema apps. 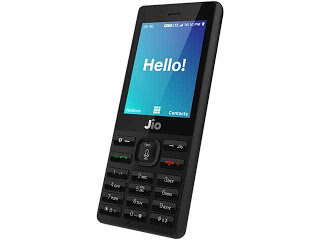 JioPhone is said to run on KAI OS, which is a forked OS version of the Firefox OS. Here is the simple process to Pre-book Jio Phone via an SMS and just sit happily to receive a handset.